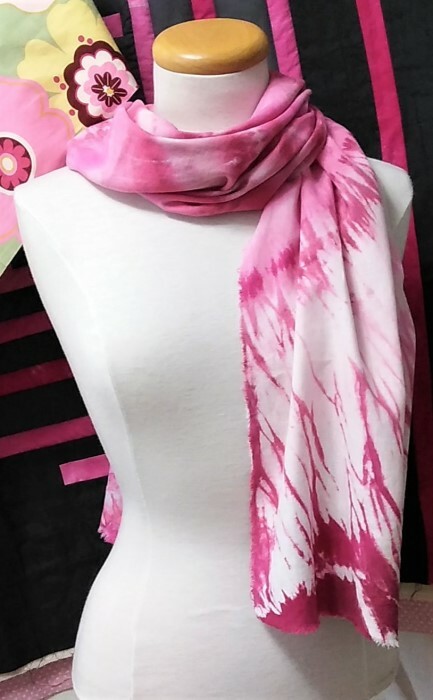 Fuchsia snow dyed shibori scarf accessorizing handmade! Hiding under this pile of coloured snow is the accessory that puts the final touch on a handmade outfit by Anne Johnson of @anne.makes.things. 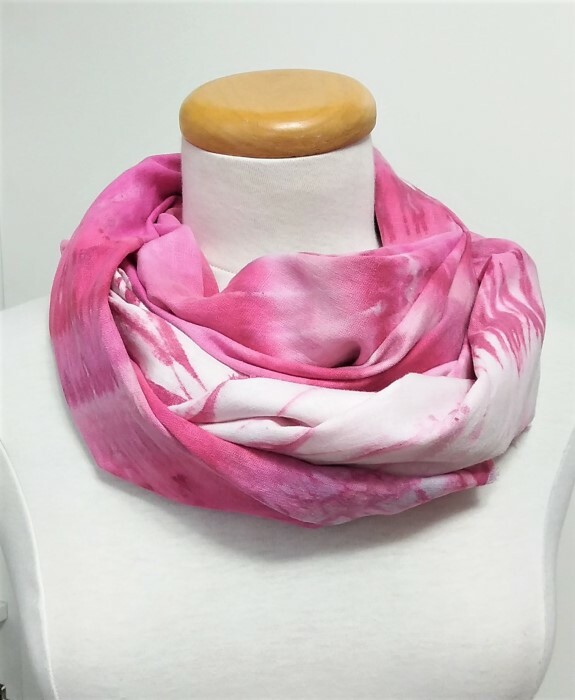 Fuchsia fibre reactive dye with a sprinkle of brown transforms the lightweight lambs wool shawl into a colourful piece of art to wear. Anne chose this beautifully patterned snow dyed shibori shawl to compliment her handmade outfit. The tailored skirt and hand knit sweater were created by Anne. I am honoured that Anne chose to accessorize her beautiful ensemble with one of my artisanal small batch scarves. Thank you for supporting handmade! Nothing makes me happier than beautiful colours! 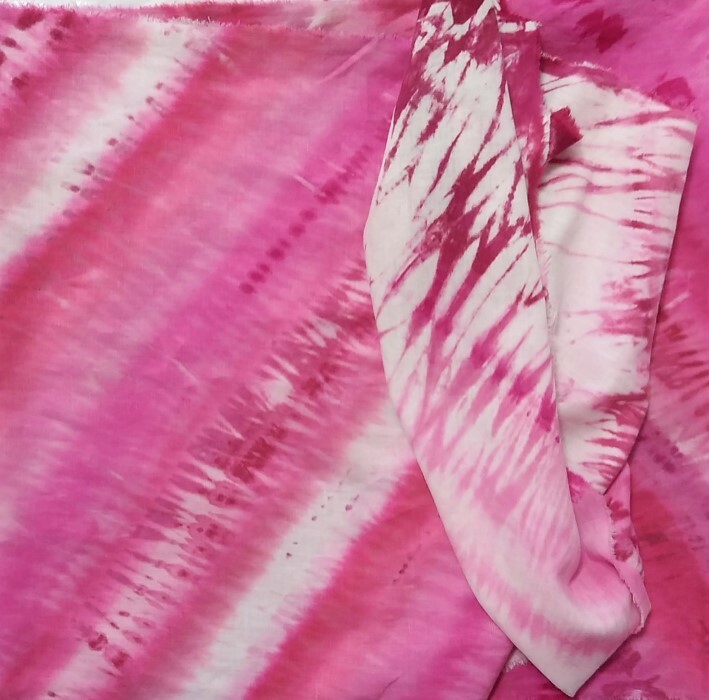 My favourite is fuchsia like the linen rayon scarf I dyed with snow. I love this colour as evidenced by the amount of it in my fabric stash. 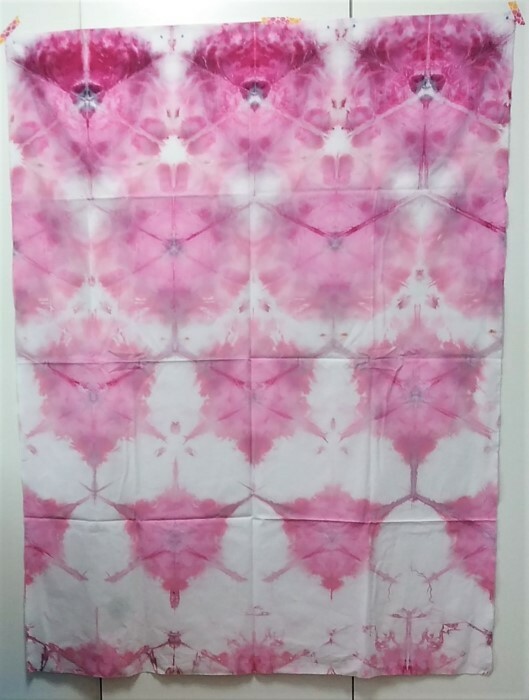 The quilt I am working on includes shades of this bright pink hand dyed fabric paired with gray. Always a great combination. 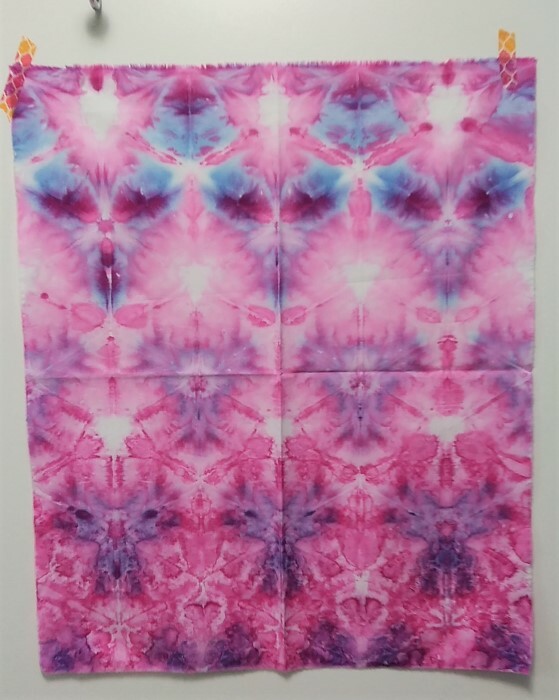 This is a metre of itajime shibori snow dyed quilting cotton. 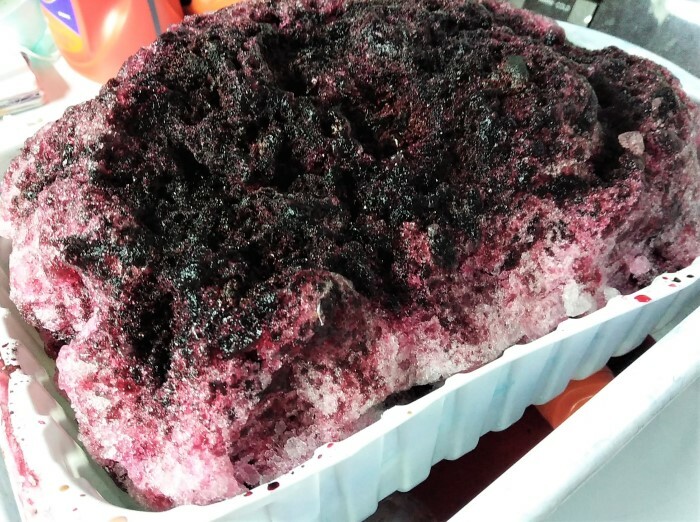 The half metre of prepared for dyeing cotton was snow dyed with a mixture of fuchsia and violet. To be the first to see the new collection of snow dyed wool scarves, sign up for my newsletter.